I've never been to the zoo in the snow before. Today was forecasted to be all the way up to 40 degrees. (It's just plain wrong to think that 40 is warm, but there you have it.) 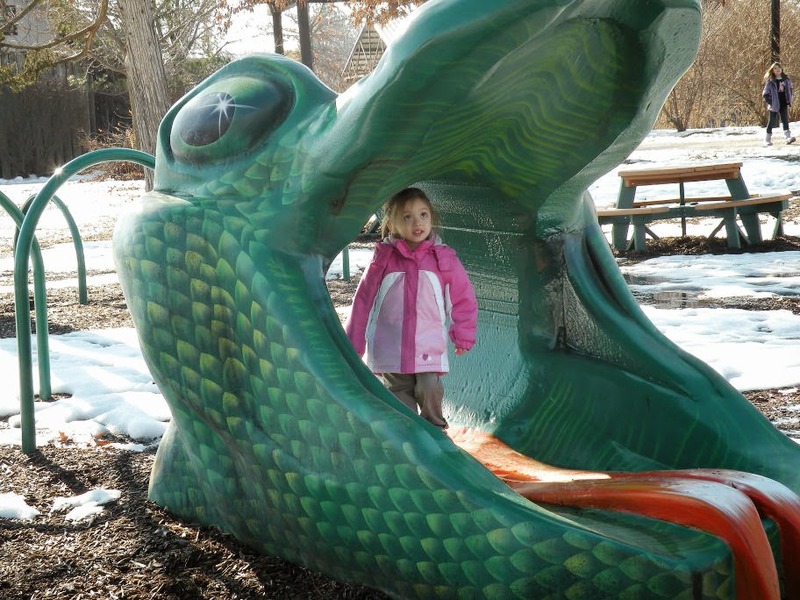 To take advantage of the balmy weather, we took a trip to the Kansas City Zoo. 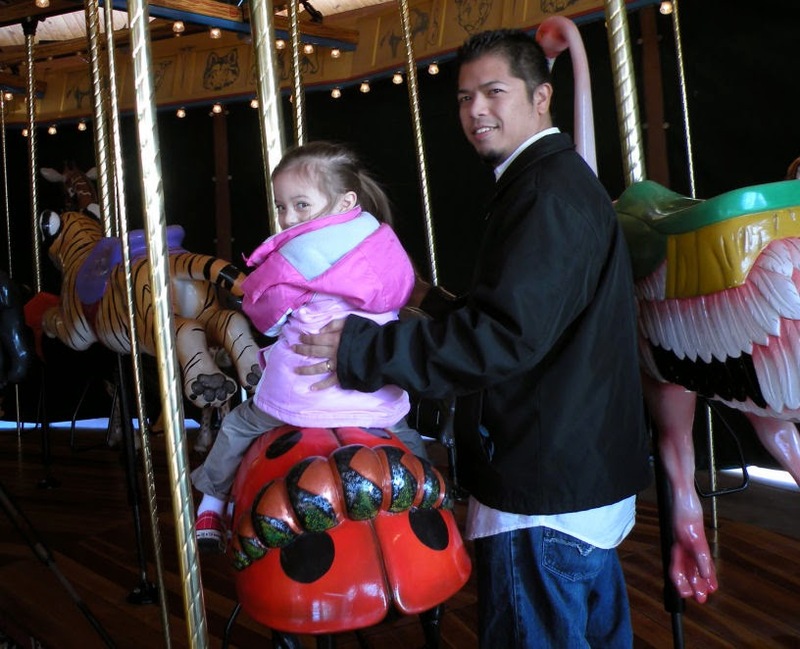 We started off riding the hand-carved wooden carousel. Miss M's face was absolutely glowing! Next Miss M got swallowed up by a giant green snake! She saw this picture and said, "I look a bit worried." Then we visited the Tropics where we saw the two-month old baby Blue Monkey. It was so cute to see his mom holding him and carrying him around, just like a person! 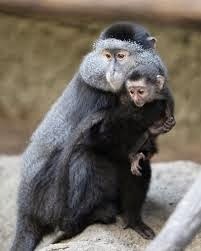 I've seen baby monkeys before, but they just held on to their mom's back and weren't carried like that. (I stole this picture from the zoo website 'cause none of mine turned out). 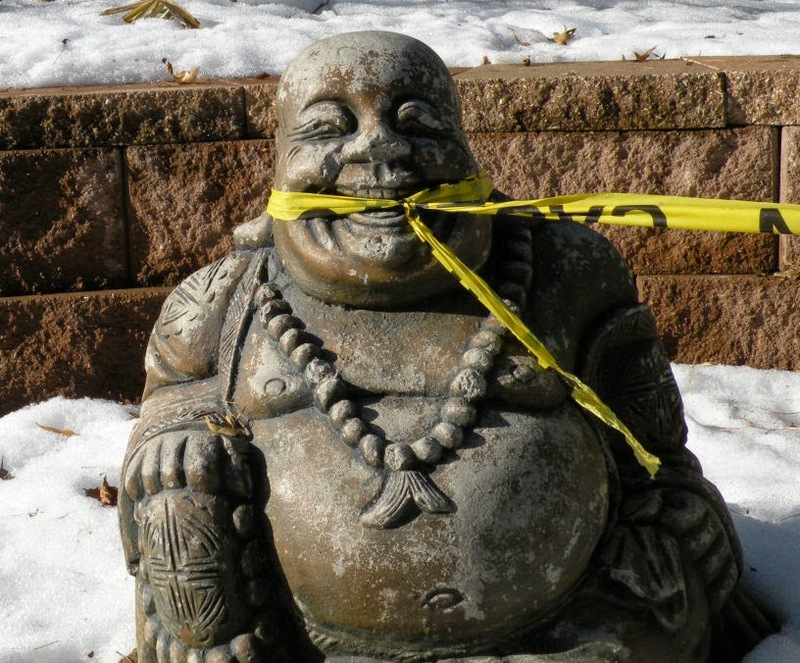 We trekked through the snow, slush, and mud to the tigers....meeting a gagged Buddha on the way. Then it was time for another carousel ride and home. We didn't get to see everything, even of the limited things that were open, but that's okay. Know why? Because we bought a family pass! It's good through March 2011! It averages out to about $8 per month for unlimited zoo access with unlimited rides on the train, trams, and carousel. It'll only take two more visits for it to have more than paid for itself. I'm thrilled! Oh, and we can use it to get into the Children's Zoo in Lincoln, NE when we visit my family there...for free! Family passes are great! We have one to the zoo and to the aquarium and they have more than payed for themselves.